As if sharks weren’t amazing enough, scientists have found a new species of shark – one that glows in the dark. Say hello to the ninja lantern shark, a species that has been discovered by a team at the Pacific Shark Research Centre, in Moss Landing, California. Its official Latin name is Etmopterus benchleyi, after Jaws author Peter Benchley, but that doesn’t sound nearly as awesome as “ninja lantern shark”. In fact, that name came because as an additional homage to Peter Benchley’s long record of outreach on ocean conservation, shark researcher Vicky Vásquez accorded the privilege of suggesting a suitable common name for this species to four children of age 8 to 14 years, all of whom are related to her, the name suggested being ninja lantern shark. 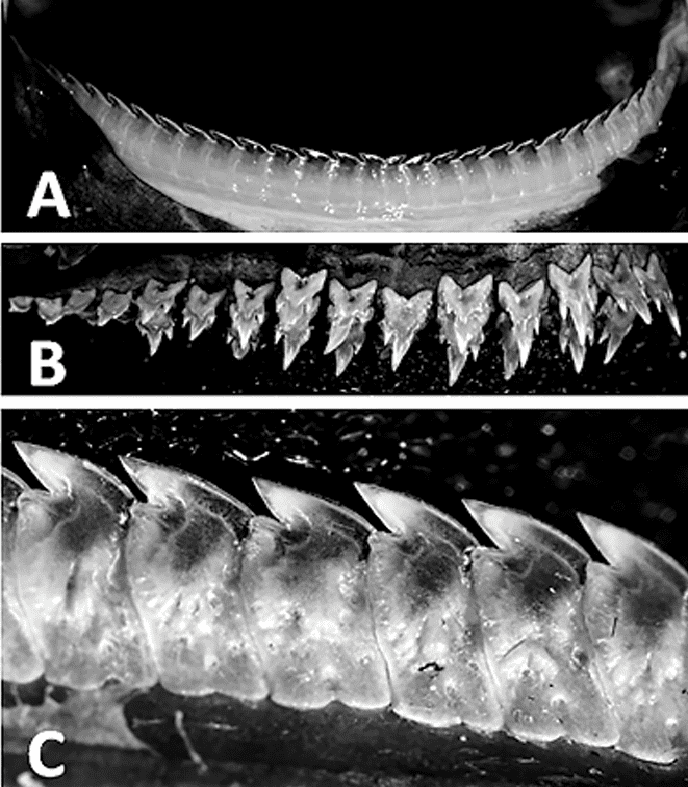 Etmopterus benchleyi, n. sp., adult female paratype. Image credits: Vicky Vasquez. Although only a few individuals have been studied, biologists believe that the average length of the shark is about half a meter (1.6 feet). It lives at a depth of about 1,000 metres off the coast of Central America. One holotype and four paratypes were described and deposited with the United States National Museum of Natural History, Smithsonian Institution, Washington D.C, however at the moment, information seems to be quite scarce. 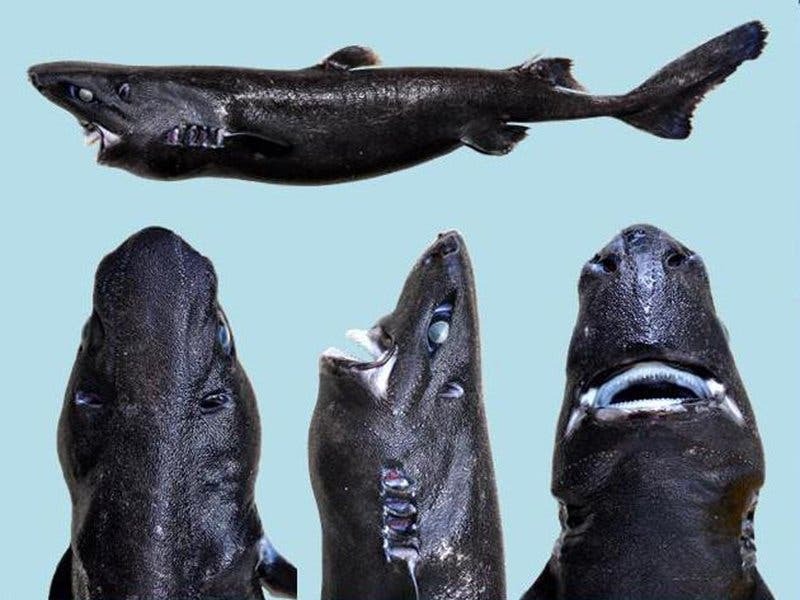 “We don’t know a lot about lanternsharks. They don’t get much recognition compared to a great white,” said Vásquez, a graduate student at the Pacific Shark Research Center out of California. The shark uses light emitting organs which appear as bright spots called photopores to create a faint glow to blend in with the low light of their environment. Rather surprisingly, these bright spots makes it easier for them to sneak up and helps them be a very effective predator.